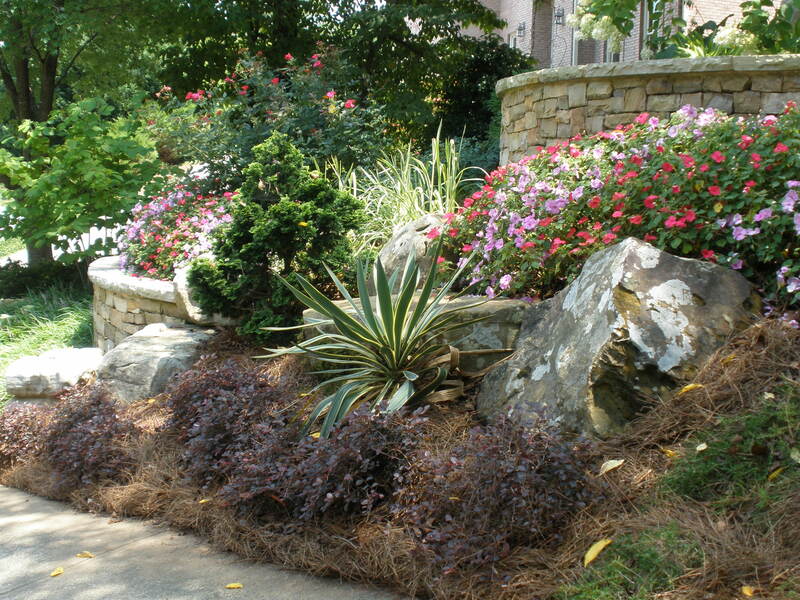 ← Caution Atlanta: Do Not Plant Perennials Yet! In my opinion, the last half of March is the best time to plant in the Atlanta/North Georgia area. We are generally past the time for any hard freezes and still early in the spring to allow for root growth to help the new plants get acclimated before the summer heat. At this time, all of the various types of plants should be planted, including the smaller perennials, etc. Usually at this time you will also find the best selection of plants to choose from. The wholesale/retail outlets will have their largest selection of materials at this time of the year. The growers are completing their digging season and are shipping the fresh stock to the sellers. Boulders with moss and lichens on them add a nice touch to a landscape with various textures and colors. Spring fever has arrived! However, before you go out and buy a bunch of plants and start sticking them in the ground all over your property, get a Master Landscape Plan form us at Pollock & Associates, Inc. This plan will give you the guidance you need to be able to plant to heart’s content and all the while be completing a well thought out, custom designed plan for your property. In the end you will be able to look back at your work and smile. Call us for your FREE consultation, and let’s get planting Atlanta!